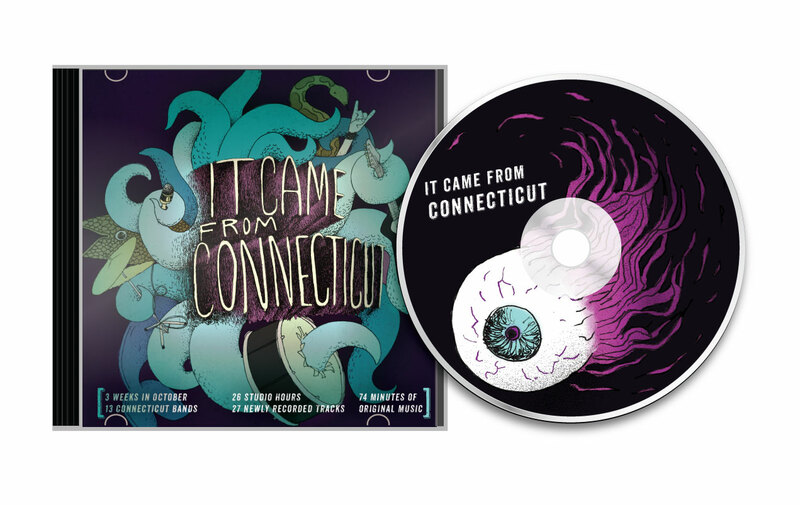 It Came From Connecticut––Produced by Bonehead Studios–Is an awesome compilation album put together to document Connecticut’s local music scene. 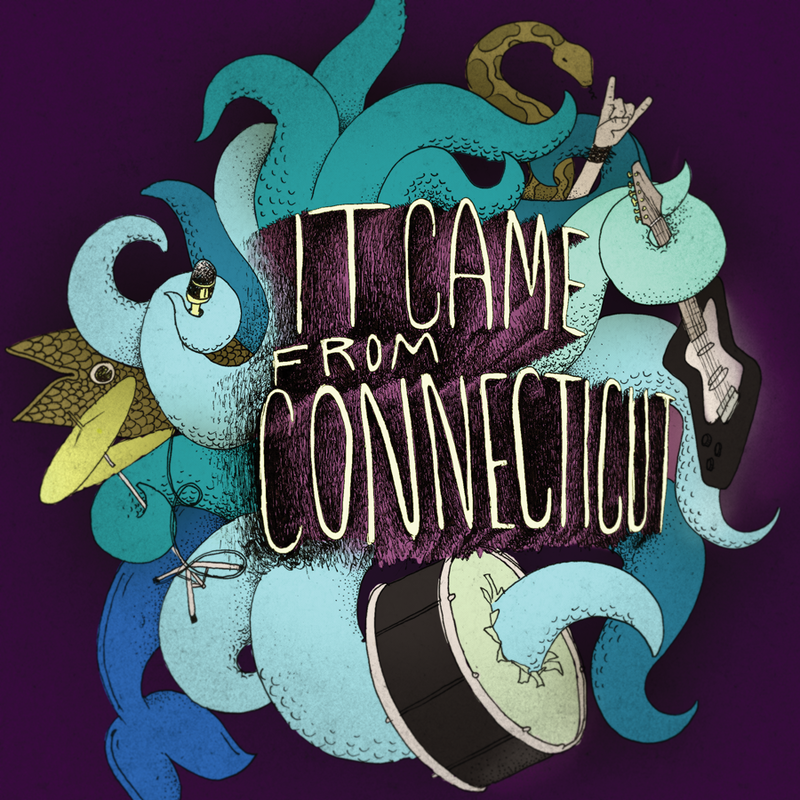 A section of active, original Connecticut-based bands currently performing original material in local establishments were asked to participate. The bands were chosen were based on local show flyers, web research, and word-of-mouth. Each band had one hour to record six minutes of play time however they wanted to arrange it whether that be one six minute song or six one minute songs. 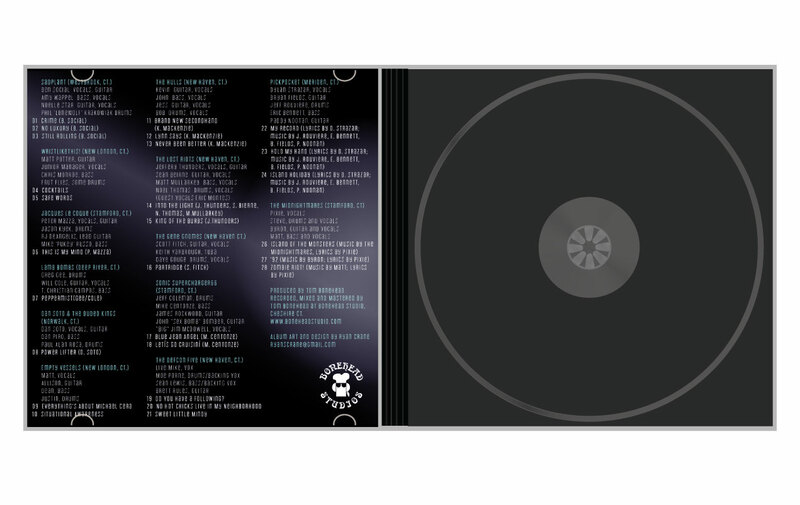 The final product: >3 weeks in October, 13 Connecticut bands, 26 Studio Hours, 27 Newly recorded Tracks, 74 Minutes of original music. The album is set to release mid December at two different listening parties: the 8th at the Cherry Street station in Wallingford and the 13ht at the Two boots in Bridgeport. 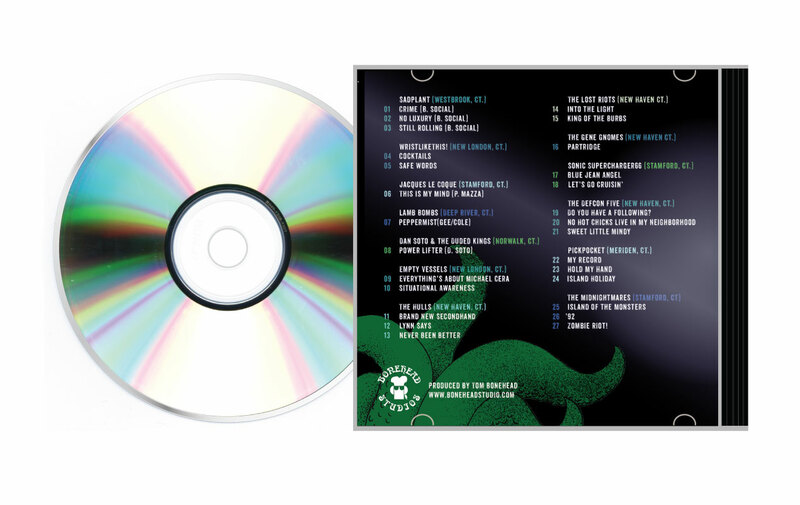 Here is the album art I was asked to put together for it. I went with a weird monster thing, partly because of the album’s name, partly because the music is mostly punk/ metal. you captured the “awesomeness” (to coin jack black) of this rock album.